I have noticed that my own children learn better and faster while they are involved in activities that require them to create. Last week I received in the mail a fun envelope filled with high quality and colorful AstroBrights papers. 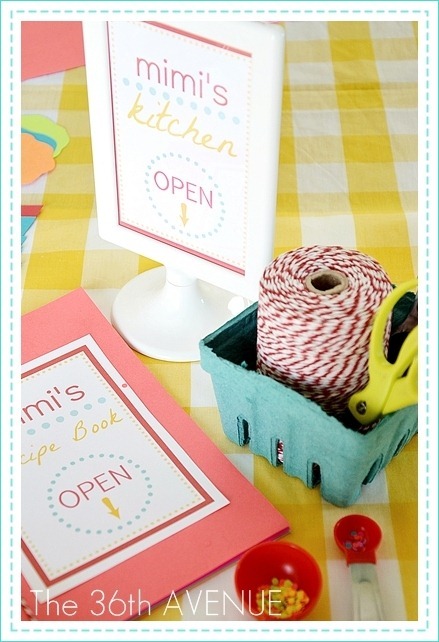 As soon as I saw it I noticed the bright colors and how perfect this paper could be for projects at home, school or the office. 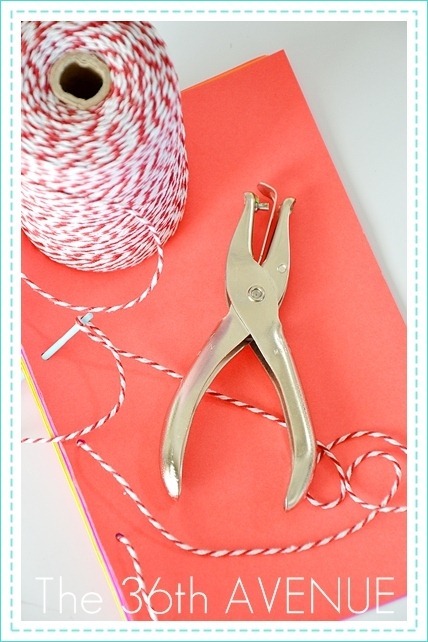 I could make brochures, invitations, flyers, announcements or craft projects. As soon as I saw the AstroBrights papers however I knew what I wanted to do with it. 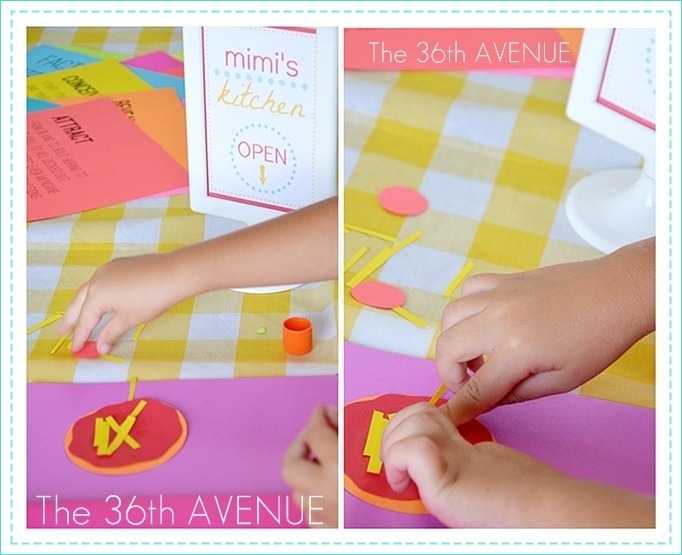 I decided to make for my Mimi a colorful learning kit with shapes to help her learn the names, colors, and sizes. Shapes and colors are a great way to wake up any child’s creativity and open their minds to explore and come up with their own world of ideas. In about two weeks my kids are going back to school but my little one is still too young to go to kindergarten. Even though she is in preschool two days a week I have three other days when she is home with me. 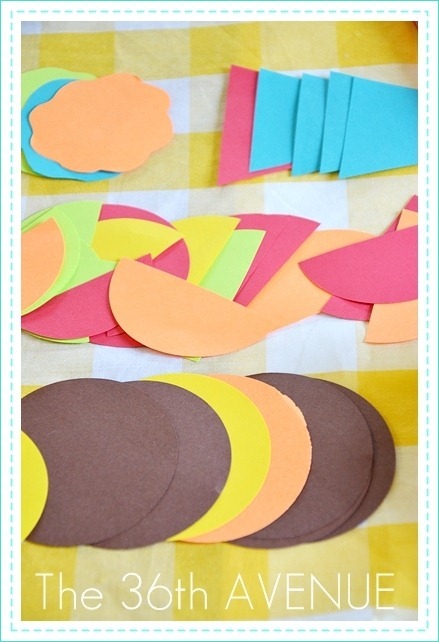 I wanted her BRIGHT and COLORFUL paper shape kit to be fun and creative so she would feel like using it time after time. 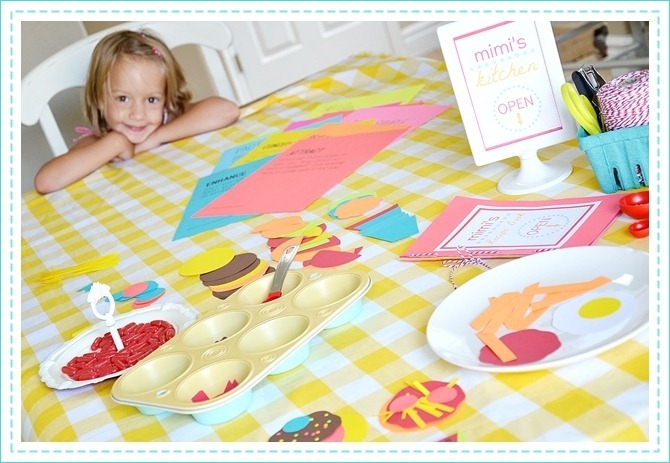 What can be more fun than a little cooking station of her own? 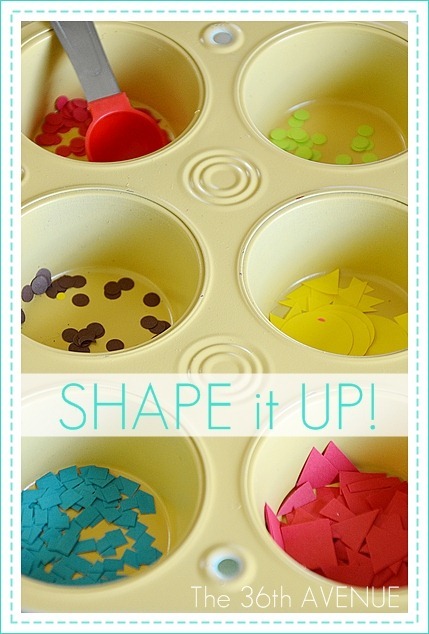 I used punch holders and scissors to cut different colorful shapes. 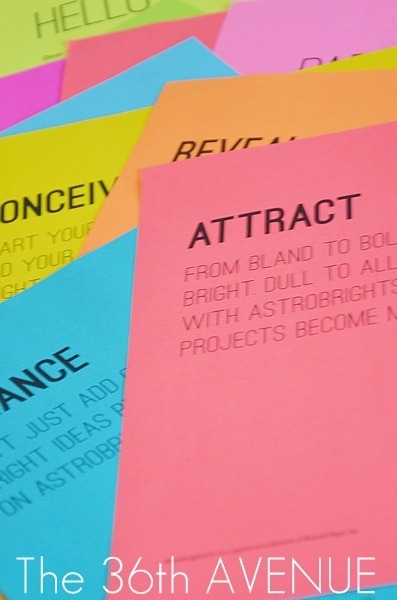 AstroBrights papers was perfect since it provided a bold color canvas in 23 bright colors. The paper has the perfect thickness for a child to work with. I hate when it is too thick and they can’t cut it or so thin that it breaks easily. The weight of AstroBrights papers is just RIGHT! With all the shapes she can create food. Now we are talking about FUN COLORFUL food here! 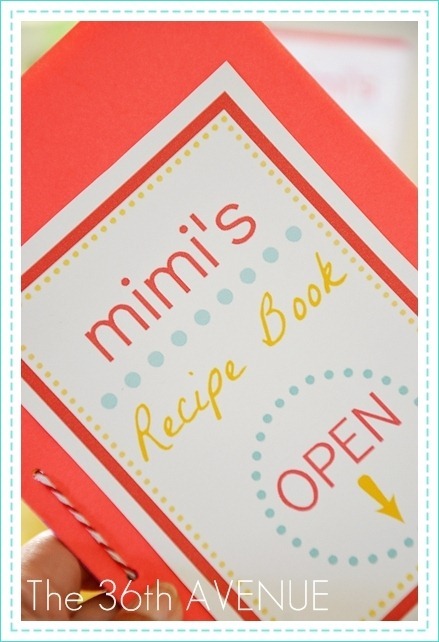 There is not a right or wrong way to create a recipe… and therefore there is not a right or wrong way to create a recipe book. 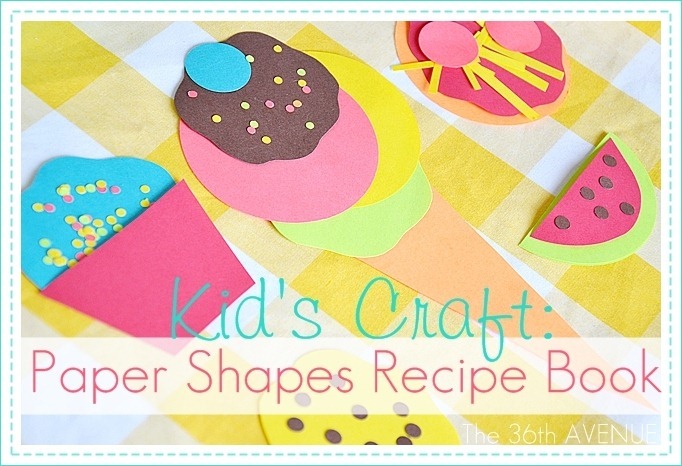 Any little chef will rock this project! When my other kids saw the tasty table they all wanted to play with the paper and make their own little dishes. Their excitement made me think what a great activity for a cooking birthday party this would make. Look how cute these are. Of course every chef has their own recipe books. 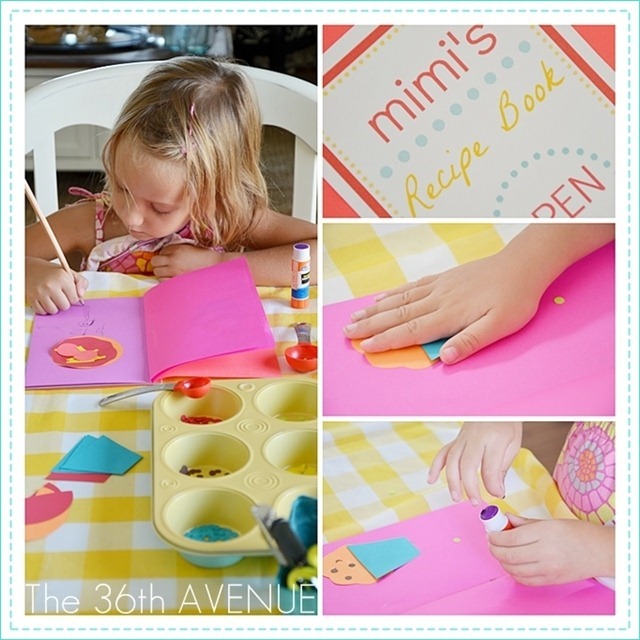 I created for Mimi a book folding AstroBrights papers in half and attaching them all together using bakers twine… Oh cute! 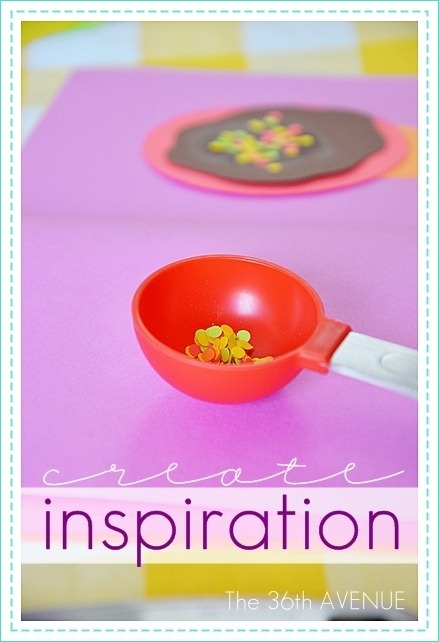 She glued her own food creations in her book. She made a picture of her making them and I helped her trace the day when she made it and she signed her name on each page. Let them put their little hands and minds to work. Do you want a circle or a triangle? Do you want a SMALL or a medium square? What do you want first, what is next, what do you want to add in between? Then stand back and let them amaze you! AstroBrights papers and I want you to know that you can support your local elementary school by entering the “Give a Brighter Year” sweepstakes. You can win a cash prize and school supplies valued at $30,000 for the school of your choice. and unleash your creativity for a chance to win AstroBrights Paper and other prizes! Now have fun, be creative and come up with some bright ideas of your own! Inspire those around you to CREATE! Have an EXTRAORDINARY day my friends! This is so stinkin’ cute!! My 4 year old would LOVE this idea! Hi Erin! Mimi loves them, you should give it a try. This is adorable!! How creative and bright!! where did you find the cute muffin tin and mimi sign holder and measuring spoon for this? I love this idea. Do you have a template for the little book? Thanks!!!! So cute!! My daughter would love this!! Can’t wait to put one together for her!